You are restless and focused. You have plans of forging ahead in your business and reaching the fantasy heights. You want your business to gain legal recognition from the state and investors alike. You want the best business structure as a foundation so your business isn’t crippled from improper tax returns and liability. You want to have the flexibility to determine how your business is taxed. The list of what you want as a business owner is endless and understandable. You just want everything to work well and succeed. You need to incorporate your business today. 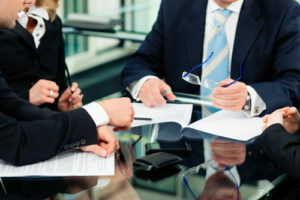 You definitely need a business incorporation attorney. A business incorporation attorney has all of the ideas and technical know-how concerning what will work and what wouldn’t work when incorporating a business. A business incorporation attorney has all the ideas about how to legally reduce your personal liability and taxes thereby making more profit from your business. Let Rawa Law Group help you if you’re in need of a business incorporation attorney Victorville, CA. We have mastered the business laws of the different cities in California and environs. We have a team of aggressive attorneys who will stop at nothing until you achieve full protection of your legal rights and interests. We give our clients a free consultation and we are ready to answer all of your questions. Book an appointment today and we will give you all the attention you need to start your business and reach the zenith. You can call us or come to our office address as shown below.